Dr Jane Hawking, Stephen Hawking’s wife for over twenty years, is a writer and lecturer. Her book At Home in France was published in 1994, followed by her memoir Travelling to Infinity, which became an Oscar-winning movie in 2015, under the title The Theory of Everything.What led you into writing? My first major writing experience was my Ph.D thesis on the early lyric poetry of the Iberian Peninsula. Thereafter writing prose and poetry became a therapy in times of stress and anxiety but since childhood I had invented stories. After Stephen and I divorced, I filled my time by writing a guidebook to property purchase and restoration in France and in doing so learnt to use a computer. When I was a small child there were lots of things I wanted to do all at one and the same time: to become an air hostess, a dancer, a writer, a florist… an endless stream of possibilities. Can you describe your latest book, Silent Music, in a sentence? 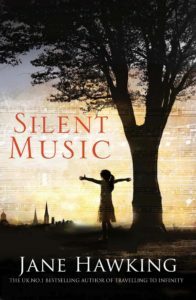 Silent Music is the story of a child, Ruth, who has a burning ambition and great talent but finds herself enmeshed in a confusing, post-war home environment from which she escapes to her memories of her grandparents’ house, almost in the country on the outskirts of a beautiful East Anglian city. Do you have any plans for your next book? Yes, Cry to Dream Again is the second of a trilogy entitled Immortal Souls, of which Silent Music is the first. It’s almost finished. If you could host a dinner party with three famous guests, who would you invite? Your last book, Travelling to Infinity, was a major success and was made into the Oscar-winning The Theory of Everything – was this an enjoyable project to be part of? How hands-on was it? It was an amazing, once in a lifetime experience which saw us all taking part in a wide range of public events – from the premiere of the film at the Odeon Leicester Square to dinner at Buckingham Palace. I should have liked to be more involved in the production, although I was called upon to promote the film once it was launched. After writing your memoir, what made you want to write a novel? It was the other way round: I had long wanted to write a novel but an agent, frustrated by my reluctance to write about my marriage to Stephen Hawking, told me that I would never be able to publish a novel unless I wrote the memoir first. Eventually for a whole variety of completely different reasons I decided to write the memoir. What was the inspiration behind Silent Music? The message of the novel is that if you have a dream, it is possible to fulfil it if you work hard enough at it; talent is of course an important factor and your dream may not bring you public acclaim but you will find great satisfaction in fulfilling it. You are so often travelling and speaking at events – what do you do to relax, when you have the time? My family comes first then my favourite pastimes are reading, music, dance, skiing, keep-fit exercising and especially gardening in France where we own an old mill-house. We also travel a great deal, visiting countries where I speak the language, and flying to America to visit my eldest son and his family there. Silent Music Growing up in London in the aftermath of the Second World War, Ruth is an observant and thoughtful child who finds herself in a confusing and mysterious adult world. She seeks refuge in her memories of her idyllic stays with her grandparents in the picturesque East Anglian countryside – which provide comforting visions of a simpler life. As she comes to terms with her surroundings and her own adolescence, Ruth finds the motivation to pursue the tantalizing dream which has governed her childhood, and discovers some family secrets along the way. 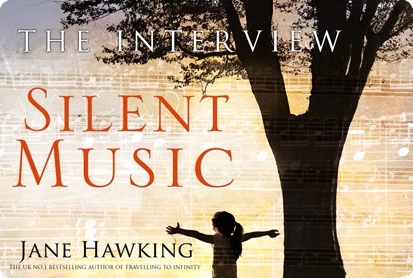 A coming-of-age novel about the unpredictable nature of human behaviour and about taking control of one’s destiny, Silent Music is a timeless portrait of post-war Britain, as well as a lyrical paean to hope and aspiration. 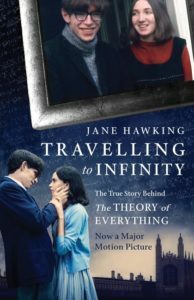 Travelling to Infinity In this compelling memoir, Jane Hawking, Stephen Hawking’s first wife, relates the inside story of their extraordinary marriage. As Stephen’s academic renown soared, his body was collapsing under the assaults of motor-neuron disease, and Jane’s candid account of trying to balance his twenty-four-hour care with the needs of their growing family will be inspirational to anyone dealing with family illness. The inner strength of the author and the self-evident character and achievements of her husband make for an incredible tale that is always presented with unflinching honesty; the author’s candour is no less evident when the marriage finally ends in a high-profile meltdown, with Stephen leaving Jane for one of his nurses, while Jane goes on to marry an old family friend. In this exceptionally open, moving and often funny memoir, Jane Hawking confronts not only the acutely complicated and painful dilemmas of her first marriage, but also the fault lines exposed in a relationship by the pervasive effects of fame and wealth. The result is a book about optimism, love and change that will resonate with readers everywhere.